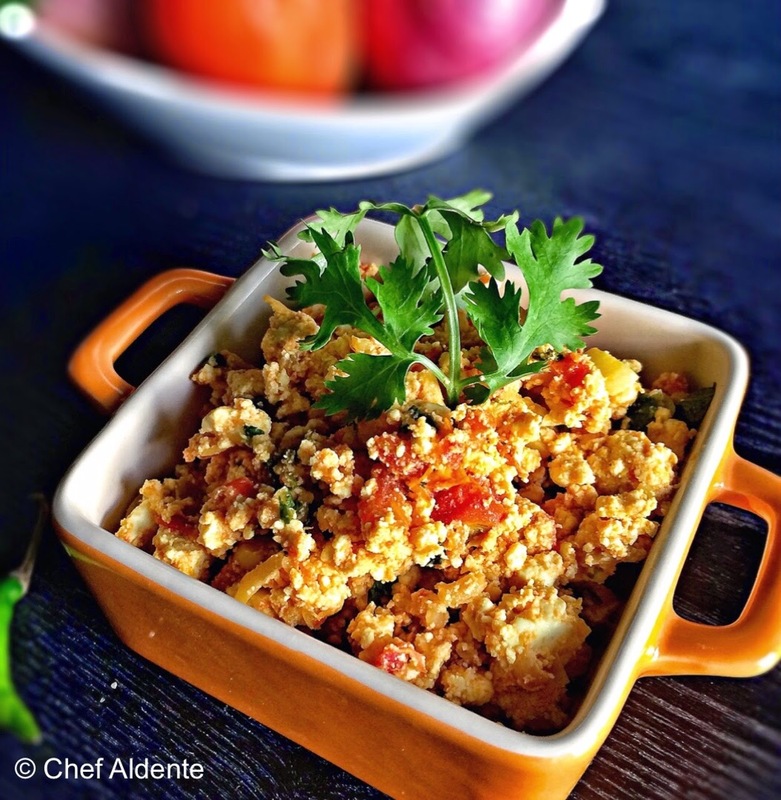 The ever popular Paneer Burji or the Paneer Scramble! So quick and easy yet so versatile - you can use it as fillings for wraps or sandwiches or have it as a side dish. It is definitely one of my favorite dishes :) I always use store bought fresh paneer but you can try making your own paneer at home. It is actually pretty simple and there are many videos online on how to make paneer. I prefer fresh as it is soft and extremely crumbly which is the perfect texture for this dish. The below recipe is very mildly spiced. Feel free to add more green chillies or spices to make it more spicy and you can add more tomatoes if you want it more tangy. I like to make this in ghee as it adds a better flavor but you can use vegetable oil as well. Heat ghee in a non stick pan. When it is hot add the cumin and wait till it splutters. Add the chopped onion, garlic and green chili. Saute well till the onion begins to brown at the edges. Add the chopped tomatoes. Cook for few minutes till it gets mushy. Don't make it very dry. Add turmeric, salt and red chili powder. Followed by paneer. Stir well to combine. Then add the kasoori methi. Cook for couple more minutes and garnish with cilantro.